Philip R. Zimmermann is the creator of Pretty Good Privacy, an email encryption software package. Originally designed as a human rights tool, PGP was published for free on the Internet in 1991. This made Zimmermann the target of a three-year criminal investigation, because the government held that US export restrictions for cryptographic software were violated when PGP spread worldwide. Despite the lack of funding, the lack of any paid staff, the lack of a company to stand behind it, and despite government persecution, PGP nonetheless became the most widely used email encryption software in the world. After the government dropped its case in early 1996, Zimmermann founded PGP Inc. That company was acquired by Network Associates Inc (NAI) in December 1997, where he stayed on for three years as Senior Fellow. In August 2002 PGP was acquired from NAI by a new company called PGP Corporation, where Zimmermann now serves as special advisor and consultant. Zimmermann currently is consulting for a number of companies and industry organizations on matters cryptographic, and is also a Fellow at the Stanford Law School's Center for Internet and Society. He was a principal designer of the cryptographic key agreement protocol for the Wireless USB standard. His latest project is Zfone, which provides secure telephony for the Internet. Before founding PGP Inc, Zimmermann was a software engineer with more than 20 years of experience, specializing in cryptography and data security, data communications, and real-time embedded systems. His interest in the political side of cryptography grew out of his background in military policy issues. Zimmermann has received numerous technical and humanitarian awards for his pioneering work in cryptography. 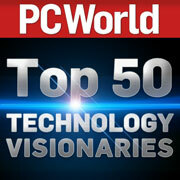 In 2008 PC World named him one of the Top 50 Tech Visionaries of the last 50 years. In 2003 he was included on the Heinz Nixdorf MuseumsForum Wall of Fame, and in 2001 he was inducted into the CRN Industry Hall of Fame. In 2000 InfoWorld named him one of the Top 10 Innovators in E-business. In 1999 he received the Louis Brandeis Award from Privacy International, in 1998 a Lifetime Achievement Award from Secure Computing Magazine, and in 1996 the Norbert Wiener Award from Computer Professionals for Social Responsibility for promoting the responsible use of technology. He also received the 1995 Chrysler Award for Innovation in Design, the 1995 Pioneer Award from the Electronic Frontier Foundation, the 1996 PC Week IT Excellence Award, and the 1996 Network Computing Well-Connected Award for "Best Security Product." 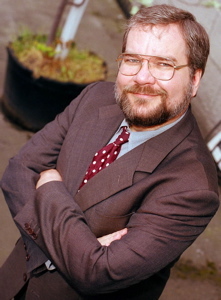 In 1995 Newsweek named Zimmermann one of the "Net 50", the 50 most influential people on the Internet. In 2006 eWeek ranked PGP 9th in the 25 Most Influential and Innovative Products introduced since the invention of the PC in 1981. Zimmermann received his bachelor's degree in computer science from Florida Atlantic University in 1978. He is a member of the International Association of Cryptologic Research, the Association for Computing Machinery, and the League for Programming Freedom. He served on the Roundtable on Scientific Communication and National Security, a collaborative project of The National Research Council and The Center for Strategic and International Studies. He also served on the Board of Directors for Computer Professionals for Social Responsibility, and currently serves on the Advisory Boards for Santa Clara University's Computer Engineering Department, Anonymizer.com, Hush Communications, and Debix. Zimmermann can be reached by email at prz at mit dot edu, or by phone by clicking here. Click here to visit Phil's web site.